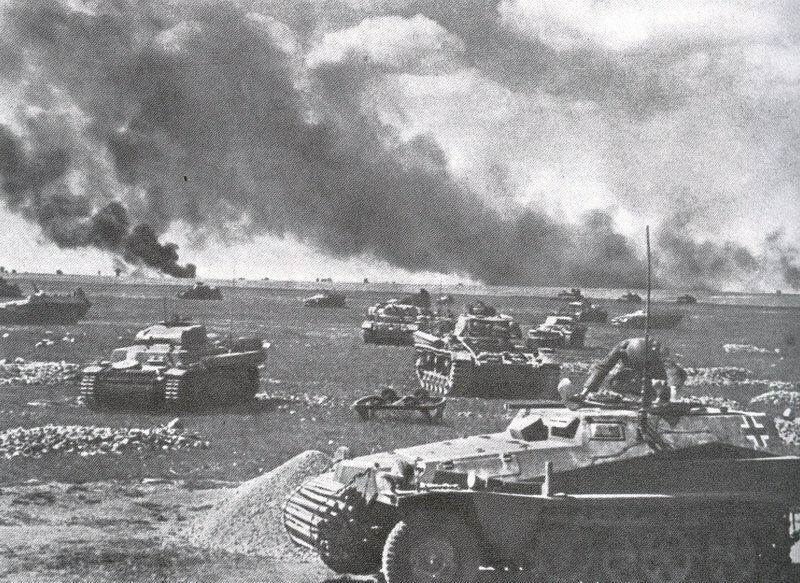 Could had Operation Barbarossa – Hitler’s attack on Soviet Russia – a different course and why was the invasion carried out in June 1941 ? Operation Barbarossa was launched in June 1941: the tank spearheads of Panzer Group Guderian were just breaking through the Russian border defences. Why Operation Barbarossa in June 1941 ? A great number of people have stated firmly that the 5-week postpone made on Operation Barbarossa by Hitler’s rude decision to discipline the rebellious Yugoslavs and Greeks and secure his southern flank in the Balkans campaign in April and May 1941 generated the difference between failure and success on the Russian Front. If one considers that the Balkan campaign was practical over before the end of April 1941 (surrender of the last Greek army was on April 22) and the Airborne invasion on Crete occupied no decisive forces, Operation Barbarossa could have carried out as originally planned, in mid-May 1941. The majority of the units which were involved in the Balkans campaign had to be transported only to Army Group South, whose 11th Army even launched its attack later from Romania. Since in the following years 1942, 1943 and 1944 none summer offensive in Russia war launched before late June since roads and rivers were still largely blocked by the previous winter thaw, this argument must be in fact one of the main reasons to delay Operation Barbarossa. Nevertheless, from any viewpoint, disputes about a couple of weeks wasted here or there in 1941 are certainly not virtually crucial as why the Germans should have attacked Russia at all in 1941 ! During September 1939, the majority of Hitler’s modern Wehrmacht, among them all fourteen motorised and armoured divisions as well as fifty percent of the Luftwaffe’s aircrafts, had been deployed versus Poland. The whole campaign had been finished in 30 days. 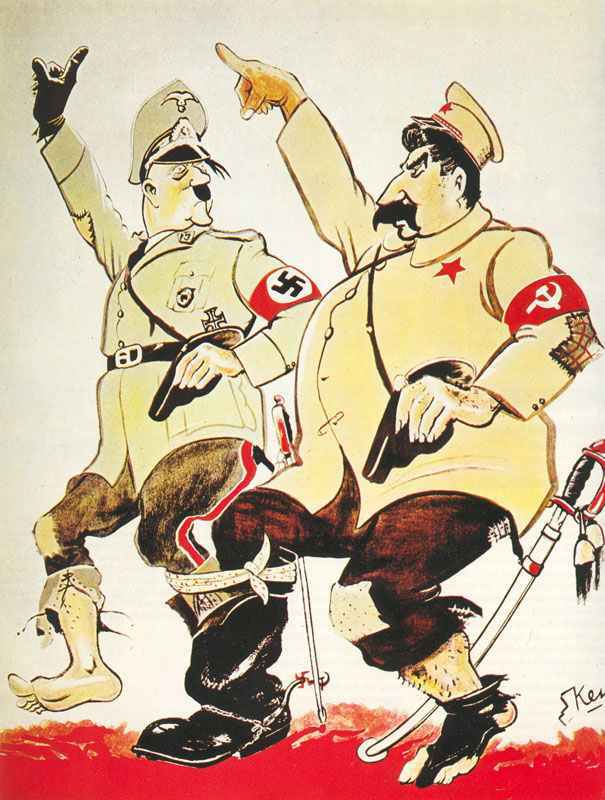 8 days prior to invading Poland, Hitler had agreed a so-called ‘Non-Aggression Pact’ with Stalin by which the Red Army ended up to occupy eastern Poland. This world-shaking deal ran reverse to the German Fuehrers anti-Bolshevik position since the times of Mein Kampf in 1923 when he wrote that Germany’s future lay in conquering the vast ‘living space’ in the East. It would have actually been completely feasible for Hitler to have ignored this ‘thieves’ charter’ and to have purely ongoing in eastern directions. The principle point for Hitler’s careful, step-by-step approach in Eastern Europe, is that, since Britain and France had declared war in September 1939, Germany needed to stay away from reproducing the 1914-1918 ‘Two-Front War’ from World War One. However, this common sense doesn’t withstand smart re-examination. In total comparison with August 1914, neither the British nor the French Government had voluntarily went to war with Germany in September 1939. The French generals had been totally committed to the idea of static defence – the result was the Maginot Line. And there was no more than a symbol British army of 4 divisions – which were growing to ten divisions by March 1940 – on this ‘Phoney War’ Western Front. Franco-British desire not to attack Germany had been two times as strengthened by vastly overstated worries of the Luftwaffe’s significant force of Messerschmitt fighter planes and fast medium bombers. Until June 1940, Stalin had worried Hitler by attacking Finland as well as the Baltic States and by heading to inside striking range of the important Rumanian oilfields by occupying Bessarabia from Rumania. Hitler might just have stood still in the West while he destroyed Soviet Russia in a quick campaign during 1940. European Russia under German command would supply all Germany’s needs of minerals, oil, wheat and cheap labour and create a foolishness of the British Royal Navy’s blockade; upon which countless Allied hopes were pinned. Especially since the Red Army in 1939-1940 was far weaker as it was in June 1941. And even in June 1941 were nevertheless still some 55 German divisions in the West, in the Balkans and in Africa in just such ‘Phoney War’ fronts, as it had been until May 1940 at the Siegfried Line. 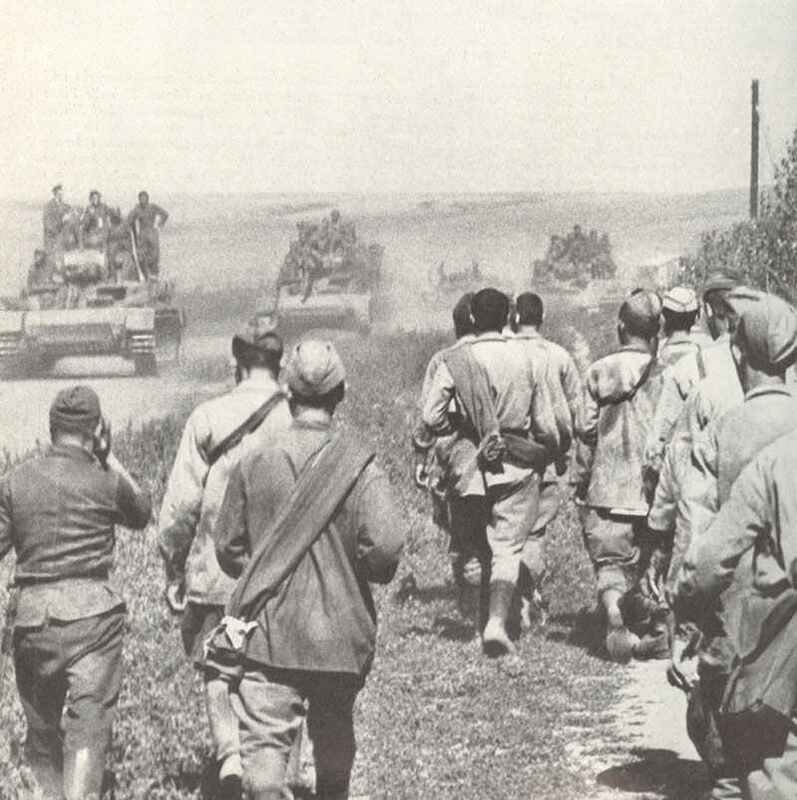 German tanks advancing, Russian POWs flow back. The usual pictures in the first months of Operation Barbarossa. Considering the real course of events, could Hitler have even so triumphed in wiping out the ‘Soviet Colossus’ within the 5 months between June 22, 1941 and the terrible Russian wintertime ? Remarkably the solution is nevertheless most likely, ‘Yes’. A vital pre-condition would be a smart, plausible, strategy. Preferably this would have required a pair of potent armoured striking forces attacking along the northern and southern sides of the impassable Pripet Marshes, via Minsk and Smolensk simply to Moscow, the heart of the Soviet military and political system. Additional, a strong 2nd group to trap the Russian armies between Kiev and the forces coming later down from Moscow. At least a light flanking forces south of Leningrad. General Halder, OKH Chief of Staff, agreed to grant the same priority to the capture of both Leningrad and Moscow, and afterwards Hitler made Moscow a secondary target, to be attempted following the capture of Leningrad. These fundamental defects in German strategy, included with poor intelligence work (in particular the actual Russian tank stength), alarming supply issues, the lack of adequate tanks against the latest Russian models, none long-range bombers to attack industrial and communication targets far behind the front, as well as German overconfidence, greatly assist in the direction of outlining the subse­quent German debacle in Russia. The German overconfidence in fact led to the situation, that a large number of useable and unnecessary divisions were retained in the West, as well as modern weapon products have not been delivered to the Eastern Front for the reason to build up stocks for the war against the British Empire and probably the USA in 1942. However the war on the Eastern Front was not only a simple practice in tactics, strategy, and military technology. 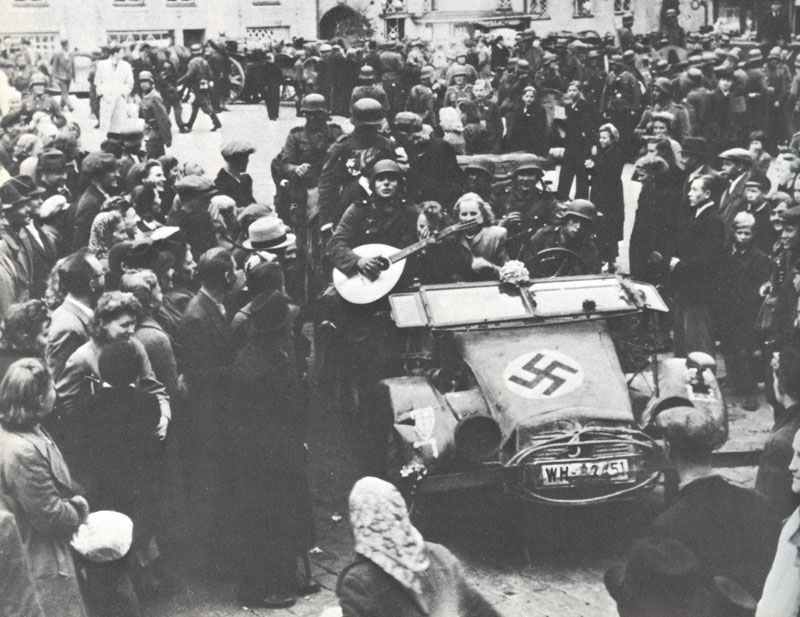 German troops are welcomed in the Soviet Union as a liberators. Hitler saw the war against Russia as an ideological battle versus a race of ‘sub-human’ Slavs, which was fit only for extermination or exploitation, and who were controlled by ‘Bolshevik criminals’. Ultimately, he eliminated any kind of chance of the collapse of the Soviet system by means of interior pressures. Nevertheless, throughout the first advances into the Ukraine and the Baltic States, the local population usually greeted the Germans as ‘liberators’ as well as a large number of young men offered to fight side-by-side with the Wehrmacht. 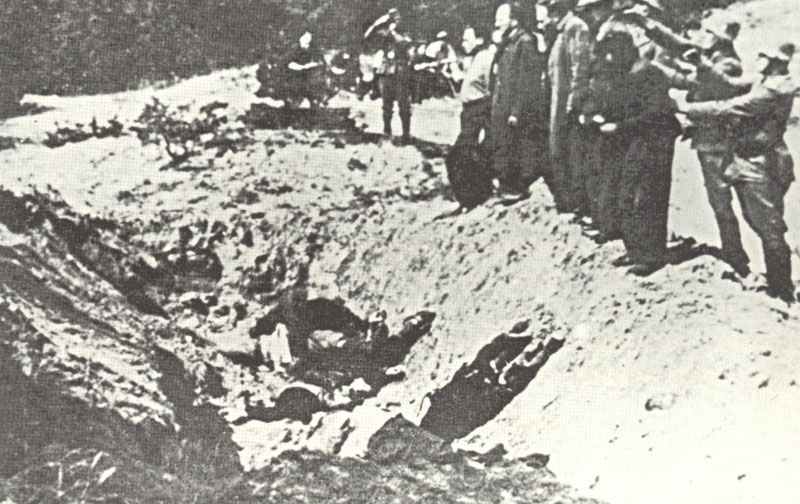 Murder of Jews in Ukraine. However when German soldiers were soon followed by SS murder squads the atmosphere promptly switched. Thus in spite of the countless violations done against the peasants, old Party friends as well as the most senior Red Army officers by Stalin, the Soviet dictator managed in Czarist tradition, thanks to Hitler’s even more outright crimes, to appeal efficiently to the enthusiastic, in-born, patriotism of the people of ‘Mother Russia’. Allied to Stalin’s ‘Scorched Earth’ scheme, the transfer of units from Manchuria as a result of Russo-Japanese Non-Aggression Pact of April 13, 1941, and weapon shocks like the revolutionary Katyusha rocket launcher, Il-2 Stormovik or T-34 tank, these elements constitute the Russian causes of the German Operation Barbarossa’s disaster. Of course, even then it would be likely that the German armies had captured Moscow or at least surrounded if they had actually five weeks earlier attacked. Also, this would probably have been possible even with the start of Operation Barbarossa on June 22, if the second German strike in August and September would further made directly to Moscow, instead into the Ukraine and to capture Kiev prior. But if at that time, and after the rise of the Russian will to resist against the merciless invader, this would have led to the collapse, is at least very doubtful. As was the war against Napoleon in 1812, the capture of Moscow would have changed very little in the Russian will to resist. And whether German positions could have been hold 30 miles further east of Moscow over the winter, is as unlikely as meaningless as it was 5 miles in front of Moscow actually. Rather than capturing the Soviet Union as far east as the Ural Mountains by the end of the 1941 campaigning period, the Germans and Hitler found themselves dealing with a war of survival. Some 7,000,000 Germans, together with 500,000 Hungarians, Finns, Rumanians,Spaniards, Slovaks Italians, and, Bulgarians, plus 21,000,000 Russians died in this apocalyptic battle Communism vs Fascism. This article is fundamentally flawed in that it does not take in to accountant,that moscow was the main,rail,communication,and political,hub off the ussr. Without these functions the russians could not have coordinated their war efforts.